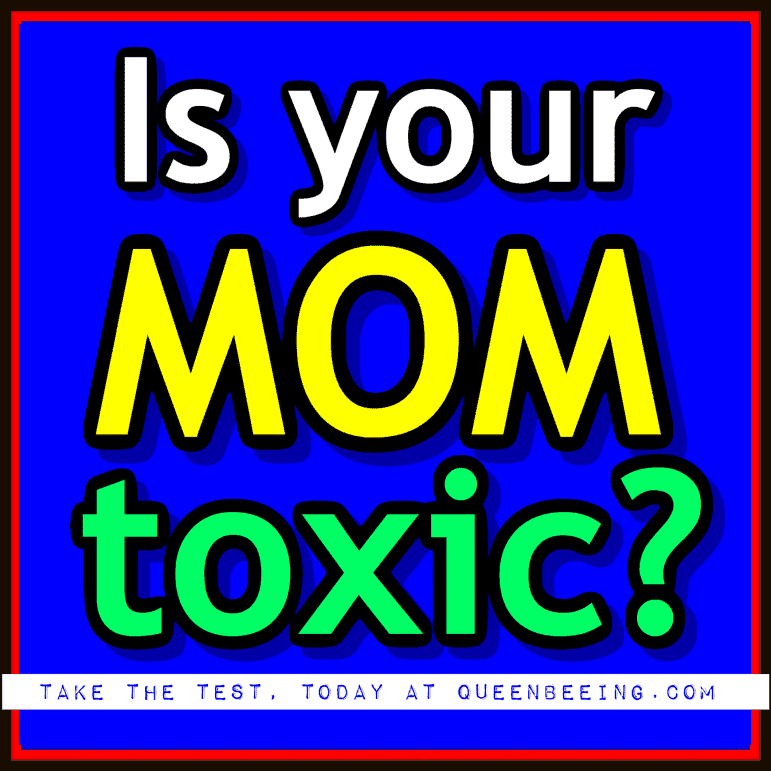 Could your mother be toxic? Is it possible she's a narcissist? Take this quick assessment and find out today. Does your mother ever make you feel like you're just not good enough? Yes, at least some of the time. No, never. I'm not sure. Does your mother tell you that she knows you better than you know yourself, or act like she knows what you're thinking even when she is wrong? Yes, at least some of the time. No, never. It's hard to say. Do you or did you ever just know that your relationship with your mom wasn't healthy, even when she told you it was? Yes, at least some of the time. No, never. I'm not really sure. Does or did your mom ever tell you or others that you needed mental help, medication, counseling or other kinds of intervention, even when you felt that you did not? Yes, at least some of the time. No, never. I'm not sure. Does or did your mother ever try to choose your friends or partners, whether directly or through manipulation? Yes, at least some of the time. No, never. I'm not sure. Does your mother only seem to remember something if it's convenient for her? Yes, at least some of the time. No, never. It's hard to say. Have you ever lied to your mother to prevent some kind of negative reaction, such as physical or emotional punishment or even just a guilt trip or silent treatment? Yes, at least some of the time. No, never I don't know. Does your mother seem to wish you were someone else? True. At least some of the time. False. This isn't an issue for me. Unsure. This is a little confusing for me. When you interact with your mom, do you walk away feeling amazing, or do you feel terrible? Or something in between? I usually feel bad about myself or my life after talking to my mom. I always feel great after talking to my mom! I feel confused or otherwise ambivalent after talking to my mom. Does your mom judge and criticize your choices on a regular basis? Yes, at least some of the time. No, never, or hardly ever. I'm not sure. Has your mom given you long silent treatments? Yes, at least a few times. No, never. I'm not sure. Does your mom use guilt trips, cry and/or tug at your heart strings to get you to do what she wants? Yes, at least some of the time. No, never. I'm not sure. Is your mom very overbearing and controlling? Absolutely yes, at least some of the time. No, never. I'm not sure. Does your mom show real concern for how you feel and act accordingly? Yes, she has total empathy and respect for me. No, she clearly does not care how I feel and does not respect me at all. I'm not sure.